Loved when we were volunteers to keep Oak open through the village. Had lots of laughs being Queen of Oak. Still love volunteering at Oak. We drove up from Syracuse to ski at Oak Mountain on the Weekend. Best time ever! Thank you Oak Mountain! 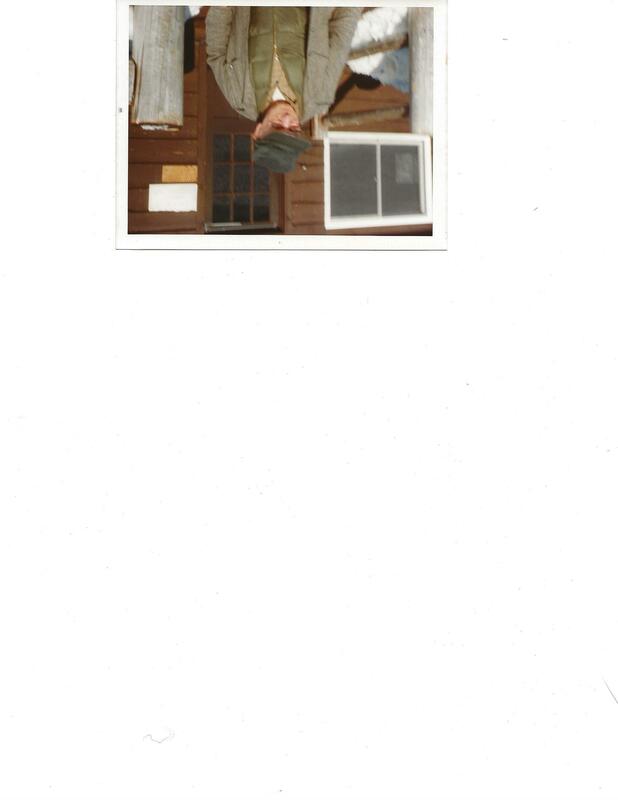 I was living down the road on Piseco Lake back in 1980. Skied at Oak Mtn. all the time, whether on my alpine skis or my Nordic skis. I took my 19 year old little sister, visiting from the flatter land of southern NJ, to x-c ski at Oak Mtn. to teach her about climbing and descending. We took the west-most beginner trail. The climbing went fine but her snowplow was a disaster; non-existent! And she cried in terror trying to ski down. We had been equal ski buddies growing up in NJ but I hadn't realized that Oak Mtn changed my abilities and perspective so much. Such a great little mountain. Our family took our first ski lesson at Oak Mountain and we loved it!! The instructors were incredibly knowledgeable and helpful and made the entire experience fantastic!! We had a wonderful time as a family and are so excited to return!! Thank you! 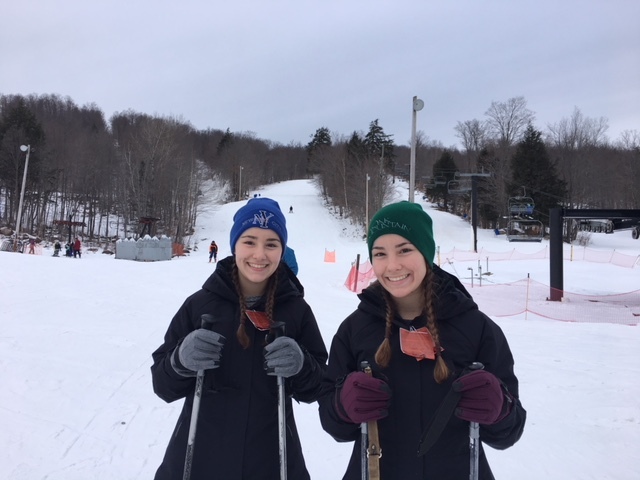 Today 2/10/19 Oak Race Team set up a training course for u12-u14 for the ADK council clubs we are in the Snow Ridge Ski Club. After training the jump and bumps the super g slalom course gates werr set up and included the jump and bumps . What a beautiful trail for the course. I was imagining the tv camera cranes televising the jr olympics, lol. Great day for the athletes, they did wonderful! Thank You, fine folks at OAK mountain! We loved it! 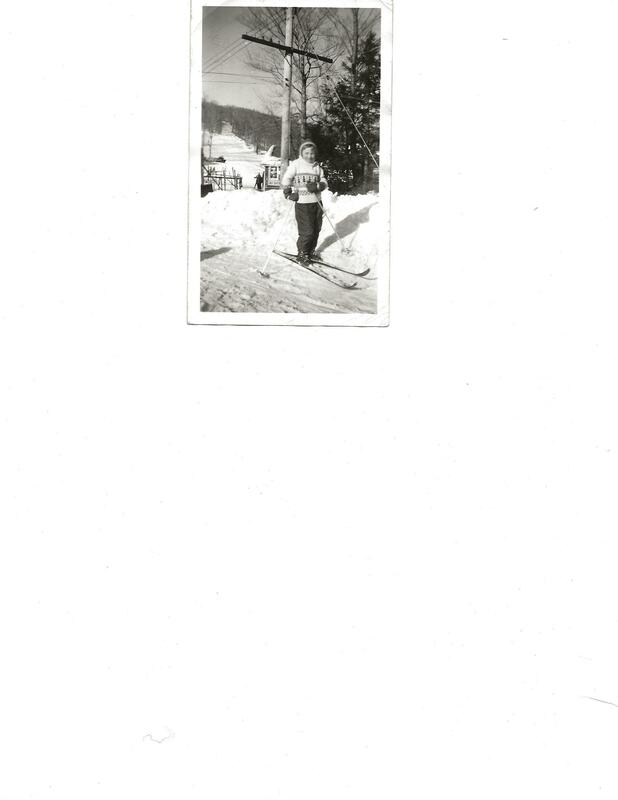 I learned to ski at Oak 60+ years ago. 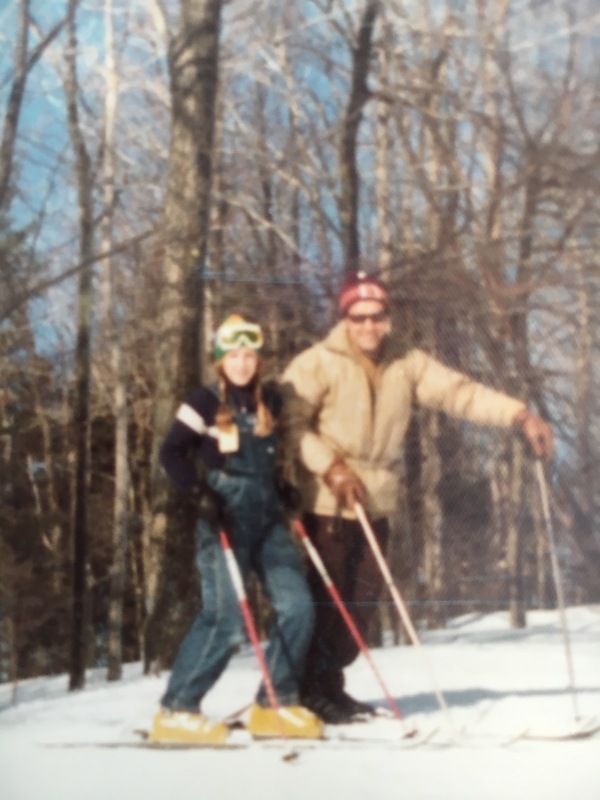 My parents gave me skis for Christmas so that I could join my friend Linda & her family on the slopes. 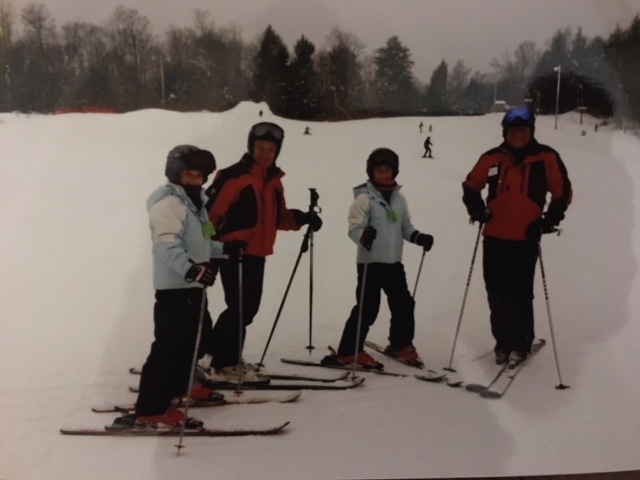 It wasn't long before my parents,brother & cousin were skiing also. 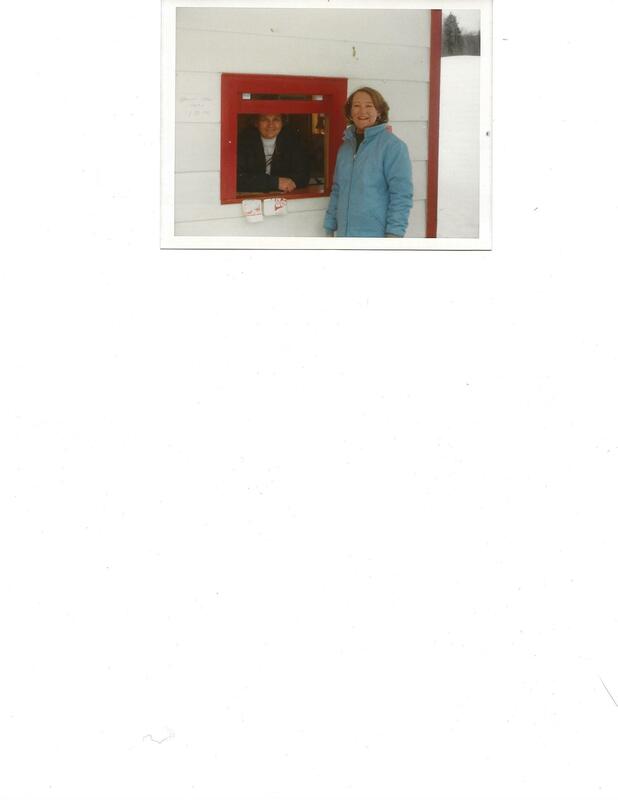 After church on Sunday my parents would load all of us in the car for the trip from Perth to Speculator. Driving along narrow, twisty old Rt. 30 was quite exciting with log trucks in transit, frost heaves & pot holes we were so happy to drive past the Osborne Hotel & arrive at Oak Mt. Our stop for lunch included homemade sandwiches, fruit & my Mom always made date nut bread for the occasion. The rope tow made us stronger & it seemed we always had fresh powder! We had wonderful days skiing & making memories. Having fun skiing and ending of a hard day of work! I am proud of the dedicated years of hard work and effort our family devoted to the development and success of Oak Mountain. I learned to ski at Oak Mt when i was 3 years old. 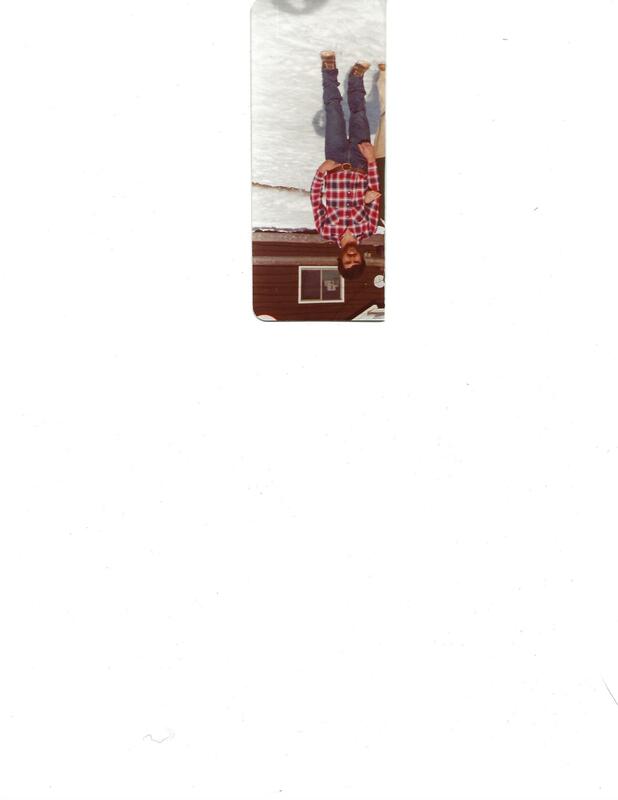 i remember it looking like the above photo, with the old lodge and the rope tow. I LOVED skiing at Oak ! 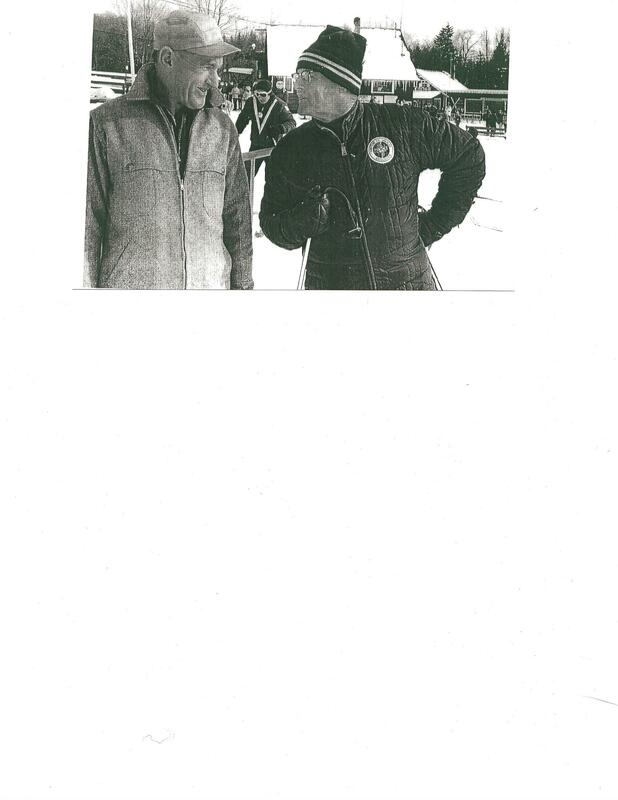 i remember seeing the Oak Mt instructors teaching students, and knew that someday I too would be a ski instructor. And my dream came true! i taught skiing at Greek Peak while in college, and for a couple years at Oak for the after school ski program in the late 80's. 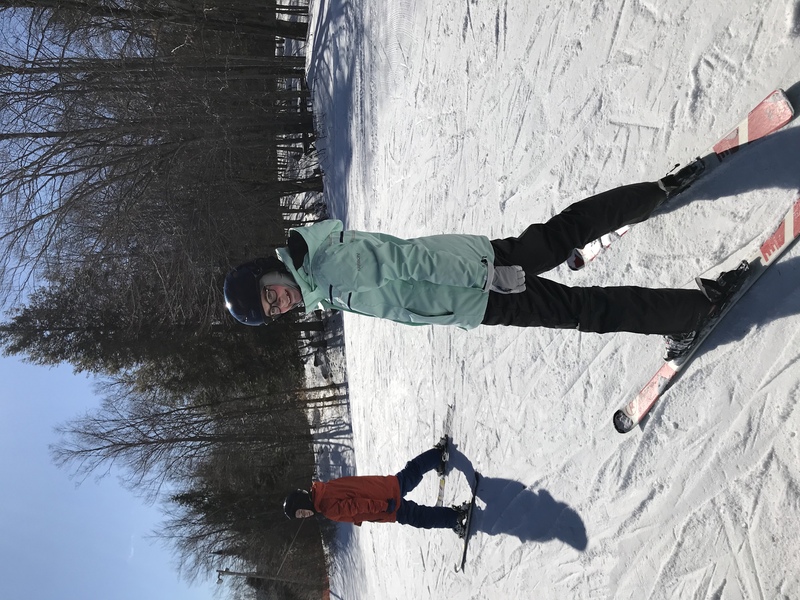 I am now the Snow Sports School Director at Gore Mtn, and PSIA examiner -- which i attribute my ski career success to my childhood days skiing at Oak. My family spent weekends and holiday weeks at our camp in Lake Pleasant when i was growing up, and we would ski each day at Oak. 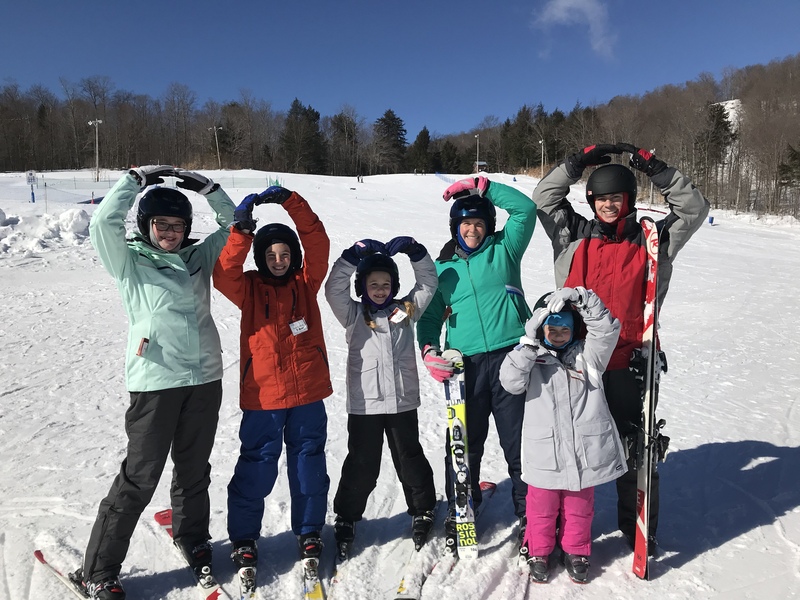 We invited friends and cousins to come stay with us and they too learned to ski at Oak! While my skiing career has ventured out to other places, my heart still belongs to Oak Mountain. Happy 70th Anniversary, Oak Mountain !!! The 70th Anniversary sounds like a great idea. I'd like to loan you the map that was on the side of the lifthouse from Kay Gifford's time as manager through Germains. It's 51"x41", oil on plywood, framed, and glass covered. I also have a skip-jack found in an old Page barn, Occasionally you'd see one on the Beginner Hill; but today nobody has heard of this one ski, which might be the grandfather of the slalom water ski. I would ski at Oak when I was a child and young adult. Brought wife and daughters to Oak again in 2013 and had lessons and a day of skiing. Went back again in 2018 all the way from Daphne, Alabama. Here’s a look back to March 1957. Florence Aird Braunius, Joan Morris Wood, Judy Morris Kojetin, and Arvin Aird. I grew up going to Speculator every year to spend winter vacations skiing at Oak Mountain. 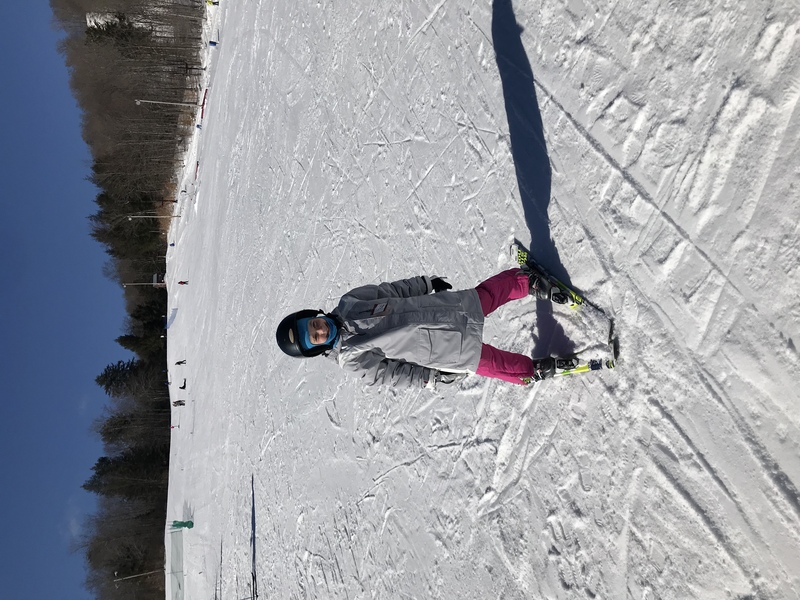 I began skiing there at the age of 3, and have many fond memories of navigating my first turns on the bunny hill, and riding the T-bar ALL the way up the mountain! My family always went with my dad's brother and his family, and I remember my brothers and I racing my cousins and showing each other up on the jumps along side the trails. It was the best place to learn to ski, and it still feels like home when I return.